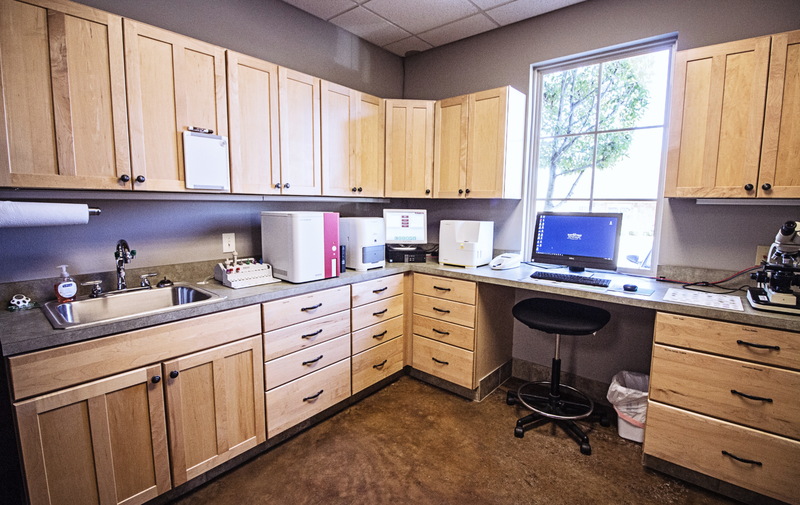 Call us at 940-241-2023 to make an appointment or stop by to meet our team and tour our facility! 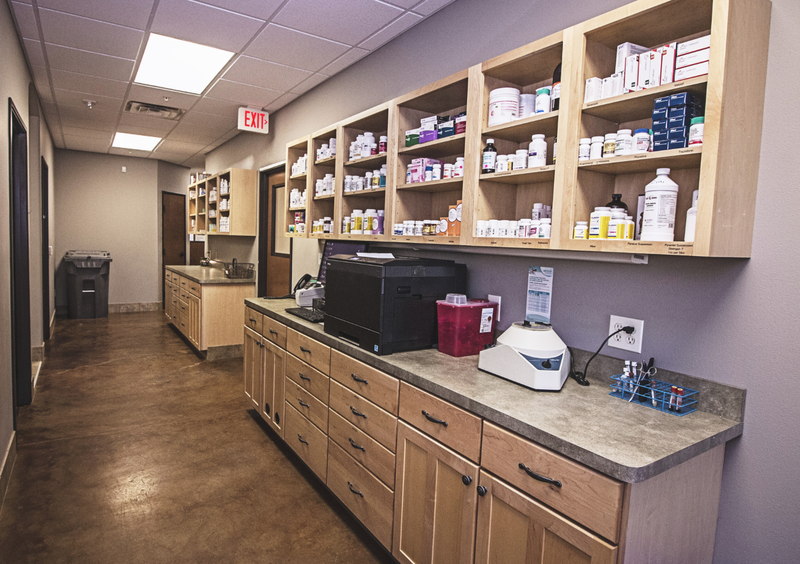 Established in 2006 by Dr. Jon McClain and owned by Dr. Melissa Cordero since 2016, Bartonville Veterinary Center and Boarding Facility is conveniently located across from Kroger in Old Town Bartonville and offers a complete ranch-style wellness experience for patients and clients. The facility is designed with an authentic “hill-country ranch” architectural vibe that continues through the landscape design and wide-open green space in the securely fenced back yard. A stress-free customer experience and fear-free experience for your pet is our focus each day as we keep the work environment as clean and calm as possible. 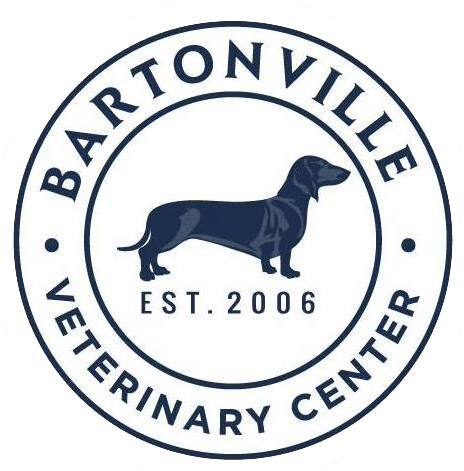 First impressions are important at Bartonville Veterinary Center and Boarding Facility, which boasts an impressive 5,300 square foot floor plan and 5,000 square foot fenced open space designed for your pet’s fun and safety. Sunny calmly greets everyone that comes through the door just like family. He enjoys passing the time relaxing, purring, and playing like most cats do. The spacious reception area is visually striking and equally cozy with a convenient layout for client and patient flow, safety and hygiene. Exclusively for our feline patients, we offer a cat-only exam room that is tucked away from the sights and smells of other cats and dogs to help lessen the stress of their visit. We love meeting new feline friends and want your kitty to feel comfortable while spending time with us. Our feline friends enjoy this view from our cat-only boarding suite with plenty of natural light to enjoy between their nap time, play time, and meal time. Noise and odor control for the large facility are maintained by oversized hallways dividing the public and medical areas of the practice from the pet care areas like the boarding facility.